Place thumb on our logo and use your fingers to lift the prongs from underneath. 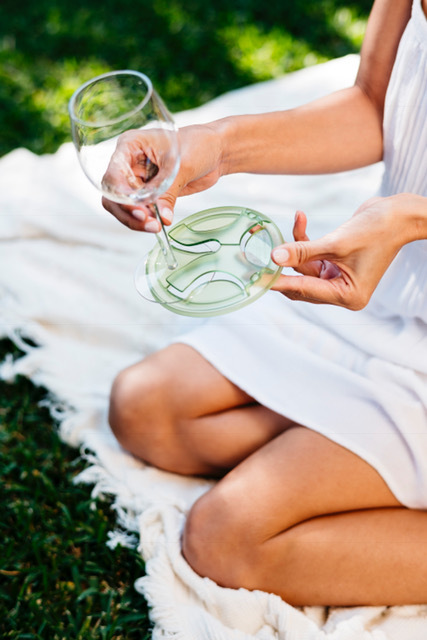 With your other hand, slide your empty glass under the prongs until the stem hits the U shape. Ensure your glass is sitting flat on all 4 surfaces. When you are finished slide it off, rinse, dry and store out of direct sunlight. Will They fit My Glass? Yes. They are made from durable, BPA free, food-grade K-Resin, designed for repeat use. We hope you reuse them time and time again but when the time comes to replace them they are 100% recyclable. To clean them just give them a rinse in warm soapy water and keep out of direct sunlight when not in use. Over time, they may develop surface scratches, these add character and will not affect function. To reduce the chance of this happening, store them in a Glass on the Grass bag. Designed and developed in Australia by us Glass on the Grass by Breathe Create. We are proud of the fact that they are made in The Northern Beaches of Sydney, Australia. We also acknowledge the valuable input of our USA and China partners who have been instrumental in our prototype and tooling of our product read more. 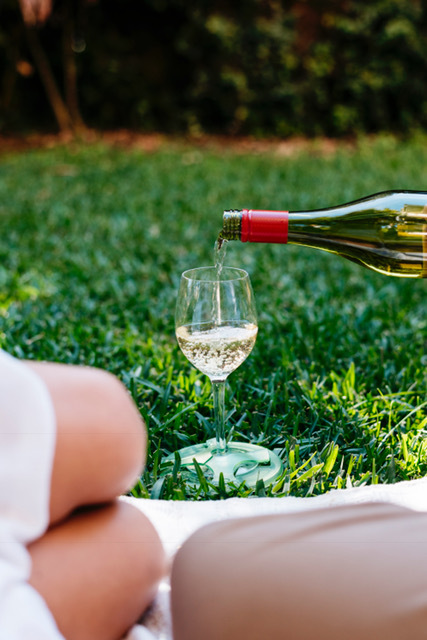 A Glass on the Grass base increases the surface area of the bottom of the glass. Unlike other solutions on the market, they stay on your glass so you are free to move around and put your glass down almost anywhere which makes they great for socialising. Originally designed for grass, they work on almost any surface, as long as it is relatively flat. They are ideal for picnics, BBQs. backyard entertaining, outdoor events, camping and festivals. 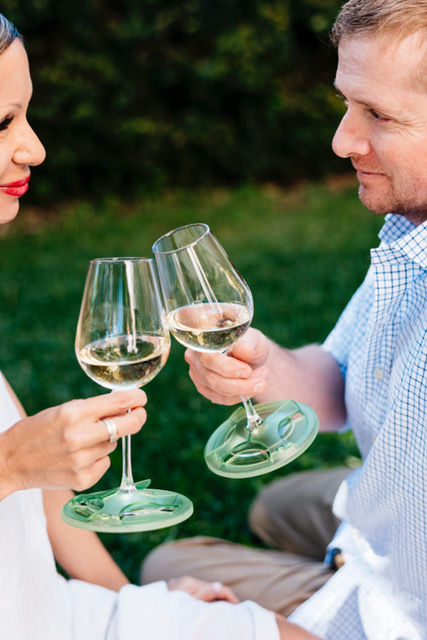 They are designed to support a standard wine glass with a standard pour. While the product decreases the likelihood of a spill, it won’t prevent spills in all cases. Please be aware that we won’t accept liability for any loss, damage or injury that results if you fail to follow our instructions and recommendations on the use of the product. Please refer to our Product Disclaimer here.